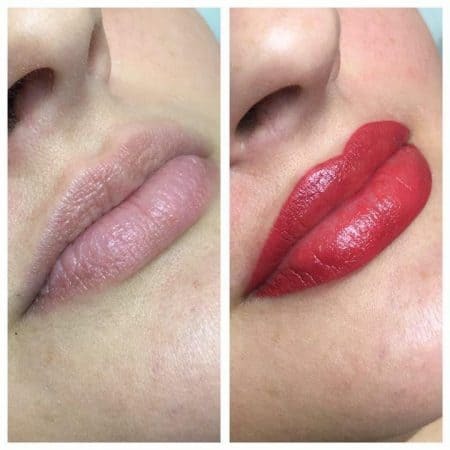 Using a combination of lining, light effect shading, and artistic blending, we make your lips look fuller and perfectly symmetrical, whilst also giving them a deeper natural color. Lip liner: to restore lip line, add a defined shape and pout. Full lip color: to replace daily lipstick, combines lip liner and full lip color for shaded & defined lips. 3D lips: to give the effect of augmented lips, without any fillers. Juicy lips: to give a definition, correct uneven lips, add fullness.